Most frustrating for a B2B lead generation company are the leads that constantly promise so much but never quite close in a deal. Managements of every B2B lead generation company dread the business leads that keep lingering for months forming a sales purgatory. The real challenge here is to identify the viable opportunities and leave behind leads that are going to go nowhere. You must devise a plan of action to infuse urgency into the sales process and see if the prospect is coming along. Now the million dollar question is how to accomplish this seemingly impossible task. Sales is all about connecting with the customer and you cannot move forward without knowing their intentions well. 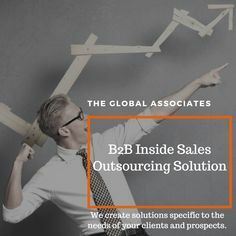 The best way of staying connected is to develop a set of questions that give you a fair idea about their intent: where do you appear on their priority list, what is their time table for buying and implementing the solution, are they good paymasters etc. A B2B lead generation company cannot afford to behave like an ostrich. You simply can’t be the only vendor to be in touch with the prospect, so ascertain where you stand by asking them. This may also give you an indication if they are really motivated about alleviating their pain. Don’t leave any room for misinterpretation or confusion, ask the customer directly how they rate your solution. Such directness has two advantages: one, you will know if they are really serious about buying from you; and two, you can go ahead and alleviate their apprehensions in case they have any. Any business guru will tell you that uncertain customers are highly unlikely to buy from you, so the best way to test the motivation of a customer is to ask about their timeline. Such questions will give you a clear indication about the time they are going to take in making a final decision and also an opportunity to set your own timetable to build credibility. Asking specific questions to clarify a customer’s position is the best policy for a B2B lead generation company. This helps you in getting rid of unwanted sales leads lying dormant in the sales purgatory and attend to the ones that really matter.